The Pacsafe Venturesafe 25L G3 Backpack is an impressive large volume backpack that's ready for almost any of your adventures. It comes with a durable, water-resistant exterior and comfortable padded back for great movement. It is capable of holding a 15" laptop. Also has internal attachment point for wallets and keys with pen loop. The backpack is made of 100% Denier Nylon and is complemented by the latest in anti-theft technology. It features a single lockdown point to secure your zippers, slashguards - to avoid cut and run theft, a loop and lock shoulder strap to anchor the bag to a table or rail, plus an interior RFIDsafe™ pocket that protects from skimming theft. The Pacsafe Venturesafe 25L G3 Backpack - Black has many exciting features for users of all types. 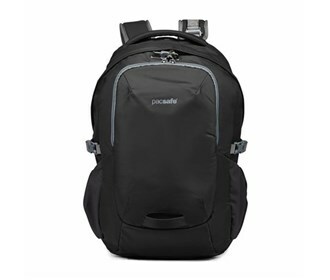 See the Pacsafe Venturesafe 25L G3 Backpack - Black gallery images above for more product views. 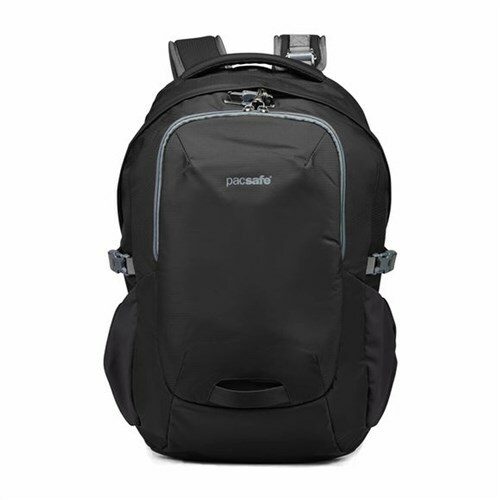 The Pacsafe Venturesafe 25L G3 Backpack - Black is sold as a Brand New Unopened Item.